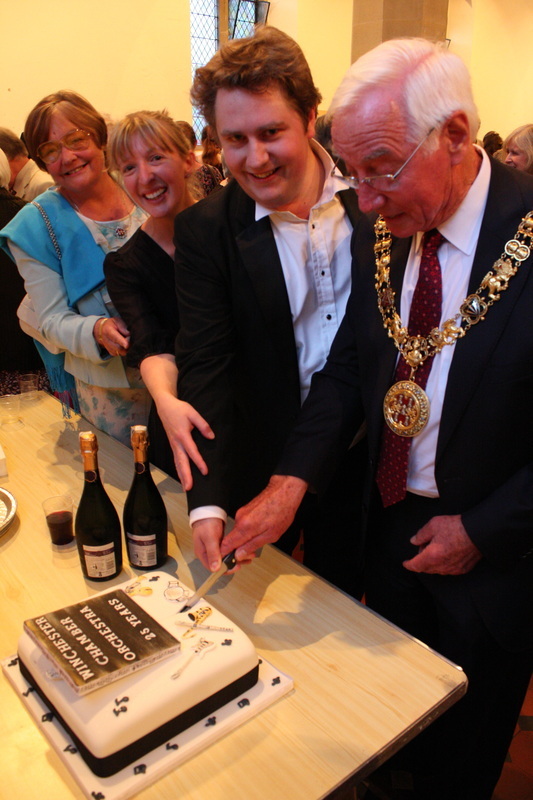 The Mayor of Winchester, Councillor Ernie Jeffs and Mrs Barbara Jeffs were guests of honour at the 25th Anniversary concert of the Winchester Chamber Orchestra last Saturday (29th June) at St Paul’s Church in Winchester. They were entertained by a varied programme of some of the orchestra’s favourite pieces from past concerts, including pieces by Mendelssohn, Schumann, Rossini, Elgar, Fauré, and Butterworth. The Orchestra’s leader, Sarah Noble, was the soloist in Massenet’s Meditation from Thaïs. The concert was conducted by the orchestra’s Director of Music, Craig Lawton, who was joined as guest conductors by his predecessors, Robin Browning and Gregg Hollister. Sarah has led WCO since 2008, having played previously in the Southampton University Symphony Orchestra and Symphonietta. By day (and night) Sarah is either an A&E doctor at Basinstoke hospital or can be found trying to tame a 2 year-old (and having just read "Battle Hymn of the Tiger Mother" she looks forward to starting him on the Suzuki violin method very soon?!) Sarah loves de-stressing on a Thursday evening with the fun and fabulous crowd at Winchester Chamber Orchestra.